Easter is in just a few days, and we want you to be ready. This fun dessert will wow at your Easter gathering. It is sweet, simple, and so much fun it will make everyone smile. Thank you to Kristyn at LilLuna for this incredibly simple and fun recipe. She knows what it’s like to be super busy with kids running around. And with a holiday to get ready for, after all, she has 5 kids. So if she can get this sweet and simple dessert ready by Easter I figure I can too. So I am packing both kids in the car and headed out to gather the last minute things I need to make this dessert happen. If you’re like me you maybe be just a little behind when it comes to having things ready for Sunday. The Easter Basket items are all set. Now I need to shop for food. Now it is time to get ready. The great thing about this recipe is it is not complicated at all. You do not need to be a pastry chef, a great baker, or even watch those cooking and baking shows on television. With just a little bit of work and following the instructions you too can end up with a delicious yet adorable dessert that will impress everyone. Just head on over to LilLuna for the full recipe and tutorial complete with photos. Make sure you set aside enough time to do this the morning of Easter or the night before. It will not keep well in the fridge for more than a day or two and still look good for dessert. Thank you, Kristyn, for such a fun and simple dessert idea. Now, this momma can go finish her shopping and be ready for Easter. This entry was posted in Food & Recipes and tagged dirt cake, Easter, easter cake, easter treats, lilluna, sweet treats, the boys store on April 10, 2017 by Lacy. Easter is one of those rare occasions I can actually get my whole family to dress up. So I milk it for all I can. I love seeing my little man all dressed to the nines in his little Easter suit and my daughter in her gorgeous Easter dress just takes my breath away. So I have always enjoyed Appaman suits for their quality, their style, and their comfort (because my son hates to dress up and putting him in something comfortable makes ALL the difference). 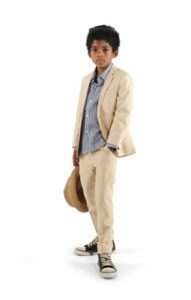 Achieve fantastic Easter looks with an Appaman suit in your favorite color. 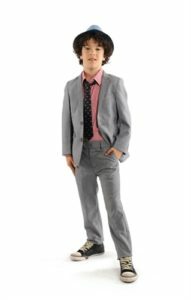 This Easter check out these incredible suits from Appaman available at The Boy’s Store. This month you can even enjoy a SITE-WIDE SALE that will reduce every suit by 30%. Just use the promo EASTER2017 between March 18th and March 25th. Starting today enjoy site-wide clearance of 30% off. That means you can take off nearly $23 dollars from most of the Mod Suits by Appaman! So hurry in now to find some great Easter looks! See our Easter looks in stock now! This entry was posted in boys clothing, Shopping and tagged boys clothes, boys easter look, boys shopping, boys style, Easter, easter sale, easter style, SALE, Shopping, the boys store on March 18, 2017 by Lacy.